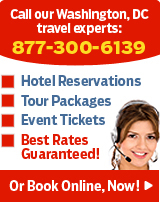 We want to be your one-stop shop for your hotel and travel reservations. In fact, we guarantee that our Pre-Paid Hotel Rates* are the best prices available online. If you find a lower rate on another website for the same room, at the same hotel, on the same dates, within 24 hours of making your booking with us, we guarantee you that we’ll match it PLUS pay you 10% of the difference in price. Simply send a detailed email to customer.service@arestravel.com within 24 hours of booking your Pre-Paid Hotel and we will process your request. *Pre-Paid Hotel Rates are defined as hotel bookings in which the entire amount of the hotel stay is paid at the time of booking. Note: The Best Rate Guarantee is for the Pre-Paid Hotel room rate only and does not include any taxes, tariffs or fees. The Best Rate Guarantee does not apply to discounted rates for senior citizens (including AARP rates), travel industry rates (e.g. IATA), corporate negotiated rates, Government/Military rates or AAA rates. Our Pre-Paid Hotel rates are already low – we can guarantee them because we negotiate these low rates with hotels and hotel suppliers based on our bulk purchasing capabilities. We are confident that our Pre-Paid Hotel Rates provide the best value for your money available on the Internet. The Best Rate Guarantee applies to Pre-Paid Hotel reservations. There are a finite number of these specially negotiated rates. Pre-Paid Rates are generally the best rates that hotels offer – and they usually sell out quickly. Pre-Paid Hotel Rates are often available on nights that are normally sold out for many hotels. There is a small cancellation fee for canceling a Pre-Paid Hotel reservation, as we understand that unforeseen circumstances may cause you to change your travel plans. The cancellation fee is only $25 per room. The Best Rate Guarantee applies only to Pre-Paid Hotel reservations made via this website. Pre-Paid Hotel Rates are defined as hotel bookings in which the entire amount of the hotel stay is paid at the time of booking. The Best Rate Guarantee applies only if you find a lower rate for the same room type (that must be available for booking), at the same hotel, for the same dates, on another website selling hotel reservations. The Best Rate Guarantee is calculated based on the comparison of the rate of the original hotel booking with the competing rate in the same currency. The Best Rate Guarantee is for the Pre-Paid Hotel base room rate only and does not include any taxes, tariffs or fees. The Best Rate Guarantee does not apply to discounted rates for senior citizens (including AARP rates), travel industry rates (e.g. IATA), corporate negotiated rates, Government/Military rates or AAA rates. Rates found on “opaque” or auction sites, including sites where the hotel brand and the specific hotel are not known until the booking is made, are not included or eligible for the guarantee. This includes but is not limited to Priceline.com, Hotwire.com, etc. To receive your refund, send an email to customer.service@aresdirect.com within 24 hours of making your Pre-Paid Hotel reservation and at least 48 hours prior to your scheduled arrival at any hotel. Your email should include the following information: booking/confirmation number, hotel name, arrival and departure dates, website where you found lower rate that can be booked, total room rate (not including taxes) and your contact information so we can process your request. The Best Rate Guarantee information must be submitted by the person who made the reservation within 24 hours of making the booking. If the lower rate on another travel website can be verified to our satisfaction, we will match the rate shown PLUS pay you 10% of the difference in price.